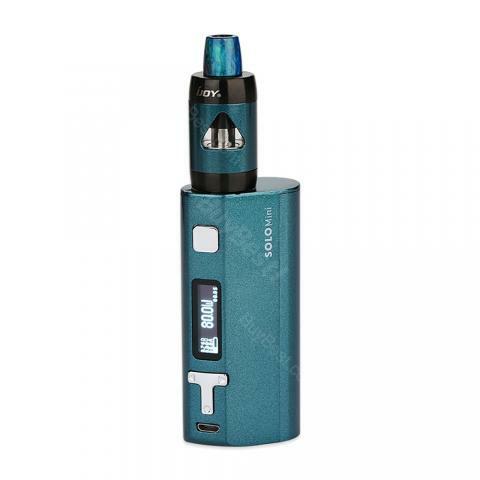 IJOY Solo ELF kit consists of 80W Solo Mini box mod and 2ml ELF tank. The solo mini mod is powered by a single 18650 battery cell (not included), which brings you the best carry-on device that provides a better flavor experience. IJOY SOLO ELF KIT is one of the best carry-on starter kits for beginners. The ELF TANK is a new, curvy, compact and elegantly designed tank. This latest mouth to lung 2ml tank features a 2 in 1 in-coil chimney reducing the airflow travel. The unique coil design makes IJOY ELF a true flavor MTL tank. • It doesn't include batteries. You can buy a 18650 battery separately. • You can buy ELF tank/ELF coil. • No two Resin drip tips will ever be the same due to the unique manufacturing process! Funktioniert wirklich einwandfrei - auch für mich als "StopfAnfänger". Ich würde IJOY Solo ELF Kit jederzeit wieder kaufen - wenn es denn überhaupt erforderlich ist.